This paper aims to show some possible research perspectives in Late Antique historiography and oratory. After some general observations concerning some fields of interest, i.e. stylistic researches, edition of Roman fragmentary orators, the role of exempla in late historians and so on, the paper deals with some case studies developed through the website digilibLT (www.digiliblt.unipmn.it), facing problems of rhythmical prose in Florus and Dares Phrygius, the lexical role of humanitas in Ausonius and the survival of syntagm humanitatis officium after Quintilian in Censorinus and Iulius Valerius. 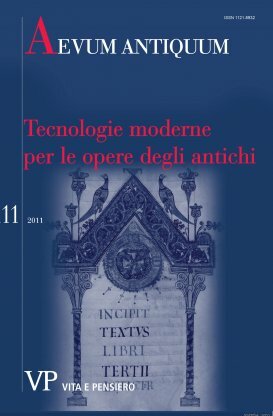 Certainly the new digital resources provided by digilibLT improve the opportunities of investigation in Late Antiquity.